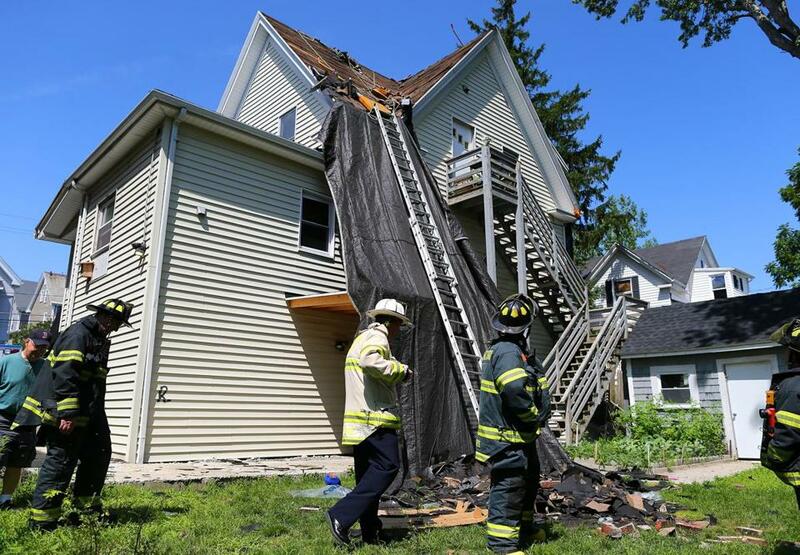 Brockton firefighters responded to a chimney collapse after a worker for a roofing company received leg injuries. A worker was injured when several bricks fell from a chimney in Brockton, officials said. The man was working with a company that is installing a roof on a 2½-story house. One of the workers’ safety lines became entangled with the chimney, pulling the bricks down, Brockton Fire Chief Michael Williams said. The worker was able to climb down the ladder he was on when he was struck and call 911. He was taken to South Shore Hospital with “bumps and bruises” and a “banged-up knee,” Williams said. The incident occurred at about 10:45 a.m. on Enterprise Street.